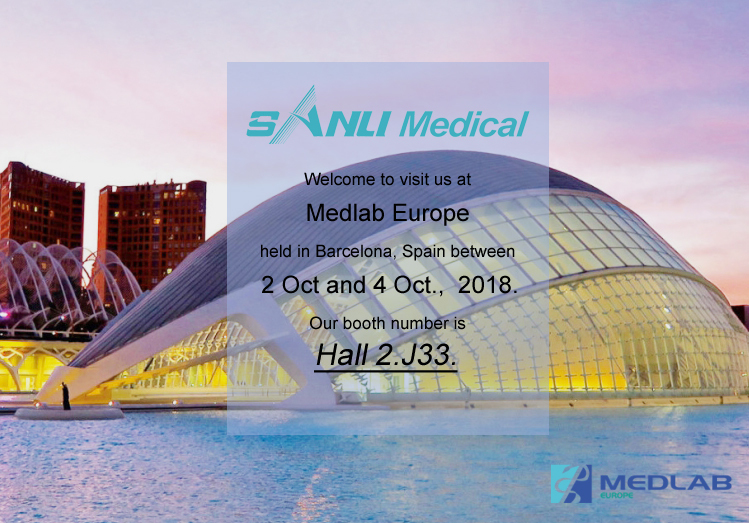 Can you reach SANLI MEDICAL stand Hall 2.J33 at Medlab Europe Oct 2 to 4 in Spain? | Liuyang Sanli Medical Technology Development Co., Ltd. Welcome to visit us at Medlab Europe held in Barcelona, Spain between 2 Oct and 4 Oct., 2018. Our booth number is Hall 2.J33.